Just recently, Carrie Underwood opened up about the miscarriages she has suffered in the last year. Seeing her vulnerable and upset made my heart once again break for her. In addition to this pain, she endured a fall in 2016 that left her face scarred – and left the singer out of the spotlight. When she returned to perform on television, so many attacked her for making too much out of nothing – as if her story wasn’t “as bad” as others or wasn’t worth the publicity it had received. When hearing about how much she has gone through, all I could think was – this is HER hurt. This is HER pain - who are we to judge if it's really that bad or not. 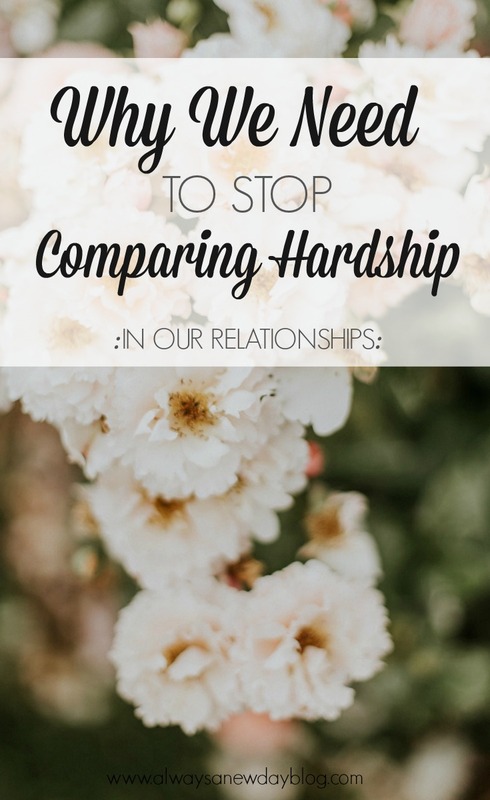 And while others may think she should just move on from something that could’ve been much worse, I began to think of how we compare our hardships. I am guilty of comparing my loss to others' hardships. I've thought - that’s nothing, do you know what I went through? Or, if someone has a worry or anxiety, I sometimes think that’s it’s “not as big” as mine. I honestly hate that I do that, and stories like Carrie make me realize how cautious I need to be when others are struggling. As life goes on and we lose a part of ourselves, we can get knee-deep in our sorrow. We see others happy and wonder when we will get back to that spot. We see others succeed and wish we had the drive to do the same. When we get stuck, we can also get selfish. I'm here to confess that's me, too. I’ve written before about how I feel we need to be stuck in our emotions as we see fit. When grief sneaks in or panic suddenly presents itself, I believe we should feel all the feelings without rush or anger at ourselves. 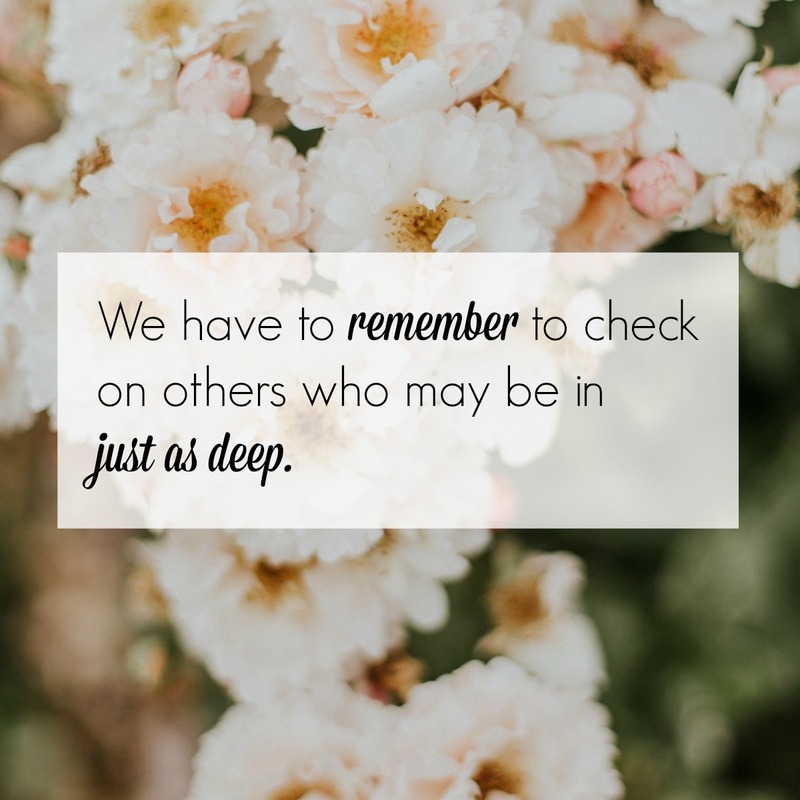 Maybe it lasts a day or two (often, even longer) – that’s okay, but we have to remember to check on others who may be in just as deep. We have to remember hardships are not limited to us alone. Not long ago, I was at lunch with a friend who was telling me some of her recent struggles. We had a wonderful time reconnecting, but I instantly felt awful because in the midst of my hurt, I forgot to check on her. It happened a few more times – another friend worried about a loved one who had been ill; a friend struggling with work. I see texts I send to friends when they are struggling, and my responses have been to compare my world with theirs. Another good friend once confided in me about her poor relationship with a family member. After doing so, she immediately apologized that she shouldn’t be complaining when I didn’t have that family member present on this earth anymore. We talked about that for a bit, and we decided that our hurt is relative. She didn't lose anyone, but her hurt still counts. In my multitude of grief-stricken, anxiety-filled days, my darkness was so deep, I forgot to check on others - the ones who kept checking on me. What I am MOST thankful for are all my friends who let me apologize and taught me something so big. My hurt may not equal their hurt, but it’s hurt nonetheless. I’ll still have really hard days because that’s how grief works. I’ll still get anxious because I’m a huge work in progress. I’ll still overthink all things because I am champion over-thinker. But, what I have done better is listen. When a friend texts a worry, I don't want to respond with a stress of my own. When a friend goes quiet, I will reach out and remind them of their strength – the same strength they give me. Carrie Underwood fell and was wounded. She then rejoiced and was heartbroken. My pain is not the same as her; hers is not the same as mine. In the already looming comparison game, let’s not compare our struggles because they are all so very different. Let’s remember when one person hurts, we need to be their punching bag or drinking buddy or soft comfort to land on. Don’t try to take the spotlight off someone else’s hurt – I’m so guilty of blocking that light. 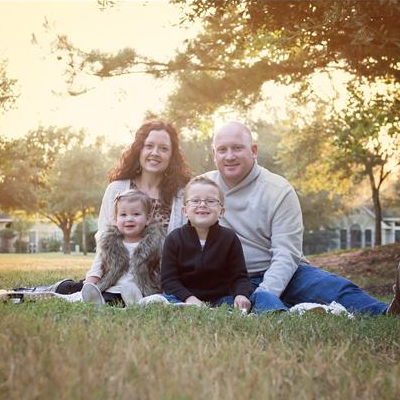 I’m thankful for Carrie sharing her story and for those who let me share mine. Comparing any part of who we are is a constant struggle - we all lose. And, when life gets hard - any kind of hard - we need one another through it all. I'm not a perfect friend in the least, but I am learning to let others lean on me just as much as I've leaned on them. Through my hardship and through theirs - there's no measurement for when our hearts hurt. It IS all relative, and it IS necessary to stop comparing who has it harder. No more comparing. Just more understanding. That is stunning! I'm passed up the character with this astounding.I've perused a lot of articles, this really is one of the finest ones that I've perused. 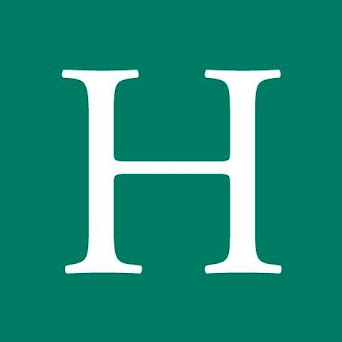 Keep on providing more articles this way.